Maine Coast is on the road right now driving back to Frost Valley. I’m sure it is a quiet ride as they have had a few exhilirating days. 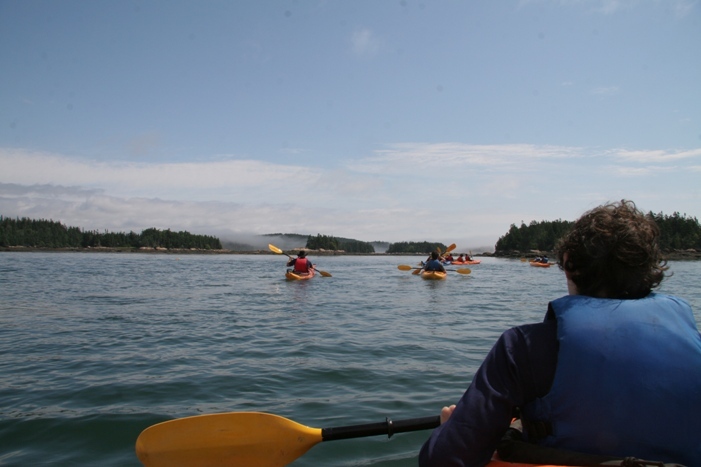 They joined up with Coastal Kayaking Tours on Sunday for their 4-day paddling adventure. 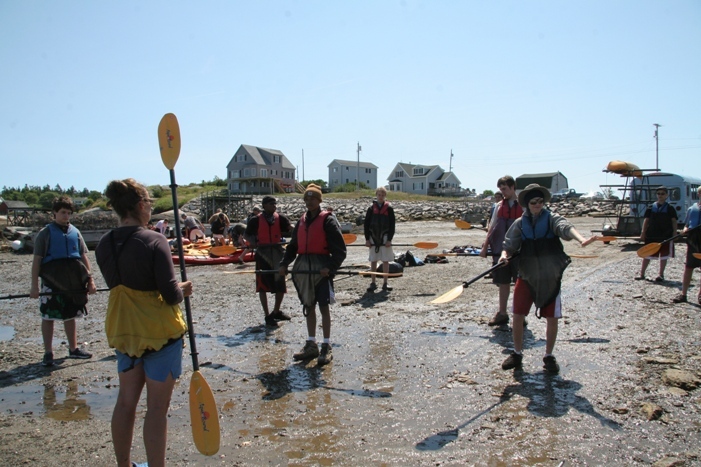 After a short drive, they had a lesson on paddling the sea kayaks. Then they hit the water and headed for their first island campsite. Their days consisted of paddling, chasing crabs through the seaweed, and games of frisbee 5000. They had some foul weather that tried to dampen their spirits, but Juliana said that nothing could get them down. I can see why when they get views like this. The group has gotten along extremely well. It sounds like they all have some common bonds like the need for lots of sleep, although Thomas is the leader in that category. Food has also been a uniting factor and the boys have eaten every scrap of food that’s been offered. They even asked if they could drink the marinara dipping sauce that came with their pizza last night. Mmmmmmmm. Don’t forget that you will be able to access all of the pictures from the trip by clicking on the link to our Flickr account located on the right side of this page. Pick up is tomorrow at 11:00am. Just look for the Adventure table in the dining hall. If you are picking your child up from one of the buses, please call us with any questions. Thank you once again for allowing your child to be a part of this amazing experience. Look for the 2008 Adventure Trip line up soon on www.FrostValley.org and enjoy our new online registration.